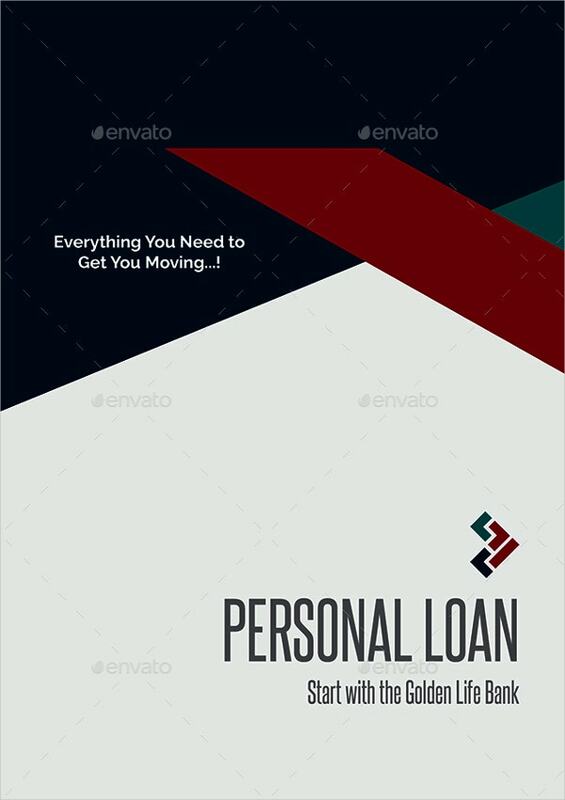 Before applying for a personal loan, you need to provide your customers with a well designed brochure. 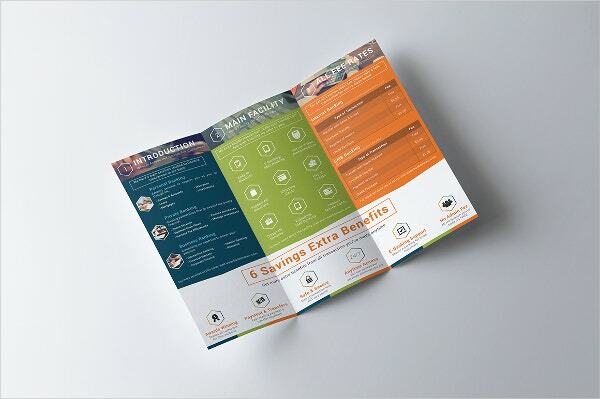 To design this brochure, you can use this amazing template here. It is fully editable as well. You can also see Golf Brochures. 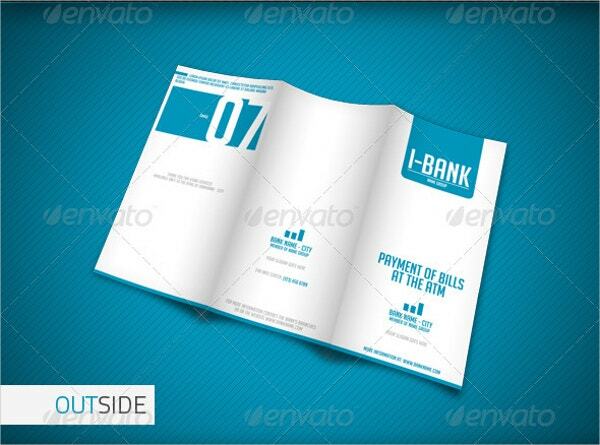 This banking and financial service brochure template here comes in neatly organised psd files. The layered files make it easier to edit. Also, it uses CMYK colour mode and high resolution. 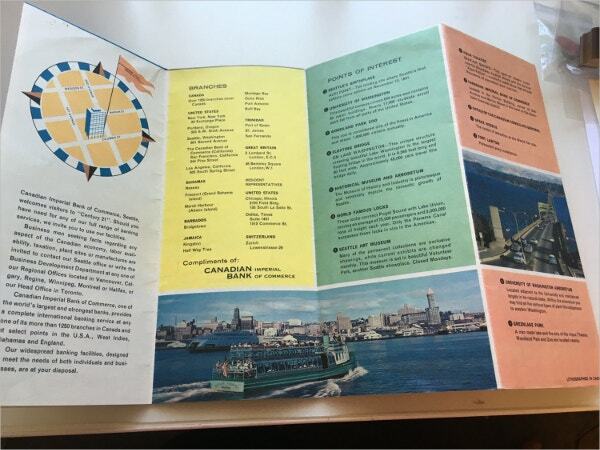 You can also see Tourism Brochures. The layout of this template has been kept as neat and tidy as possible. 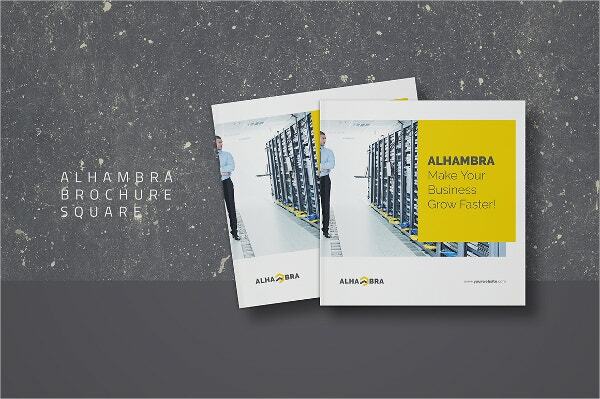 It not only looks impressive but also professional and eye catching with its perfect balance of text and images. 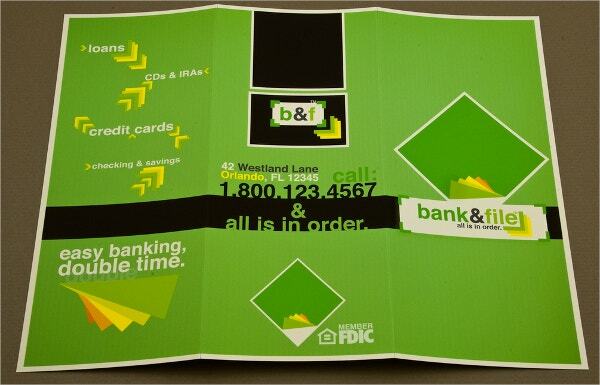 A tri-fold brochure would be great for your brochure because you would be able to accommodate more information here. The template is fully editable and would allow you to edit the details as you please. This template comes in a standard size and allows for bleed as well. It is editable and you would be able to retain the images as well as add your own. You can add as many details and information as you want here. 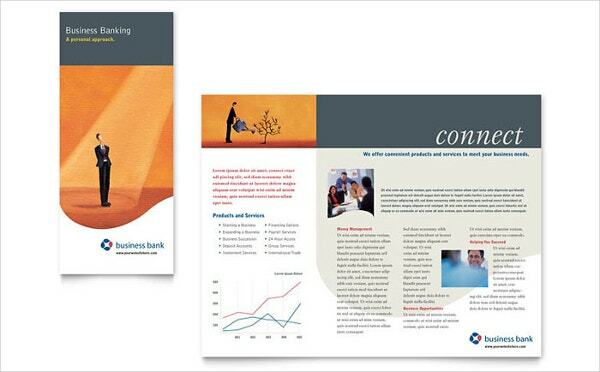 A modernised template looks best when it comes to banking brochures. Here you can add your own details and you would get high resolution images in neatly layered files to choose from. 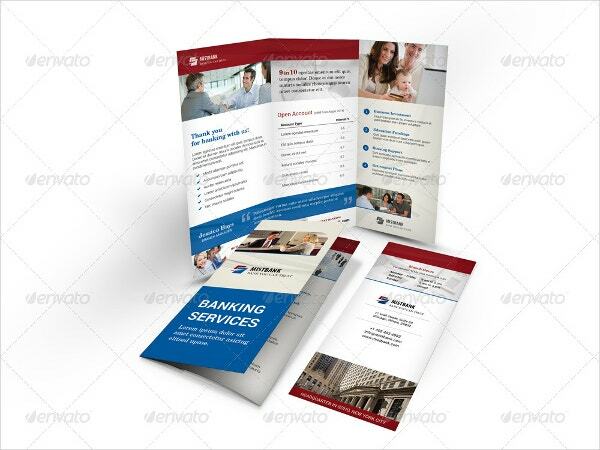 This banking and financial themed trifold brochure template can be used in a number of different ways since it is versatile and flexible. This template is fully editable and customisable as well. 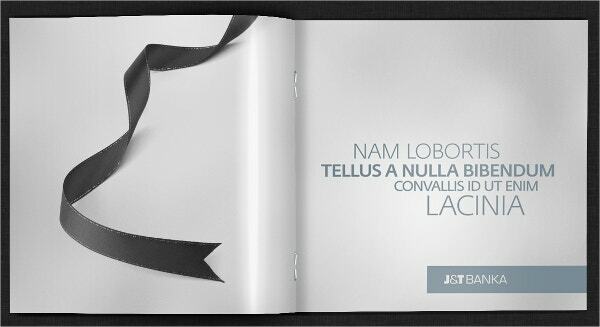 This brochure is informative and impressive in nature. 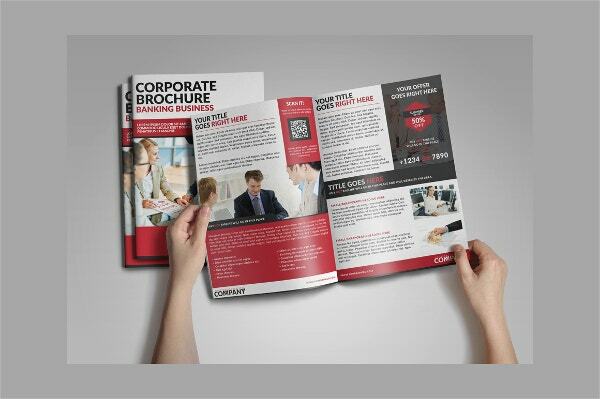 Since it is trifold, you would have sufficient space to organise all your details and information along with images. 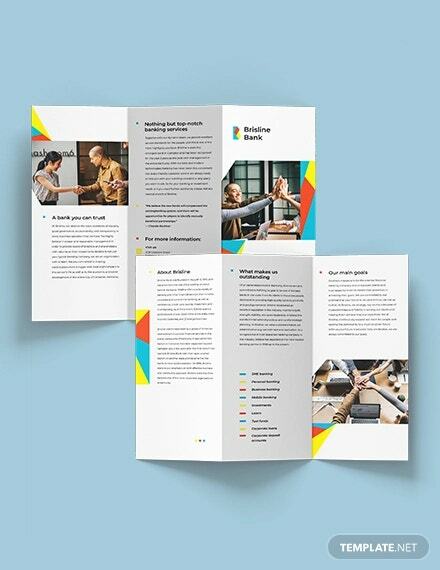 This brochure template, as you can see has been kept colourful and appealing yet professional at the same time. It has a simple and well organised layout which makes it look all the more charming. This template uses high resolution images and neatly layered and organised psd files. 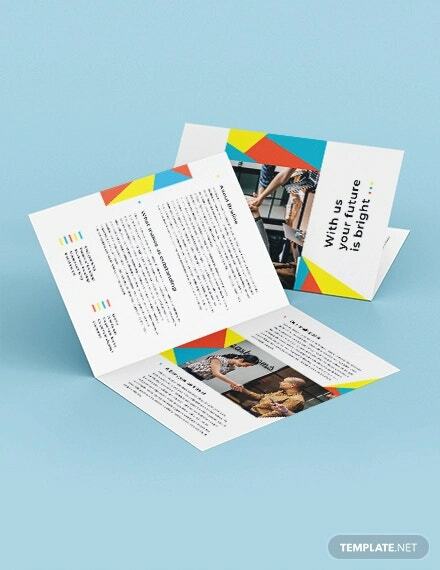 Also, it uses a CMYK colour mode and editable elements that make it easy to operate. 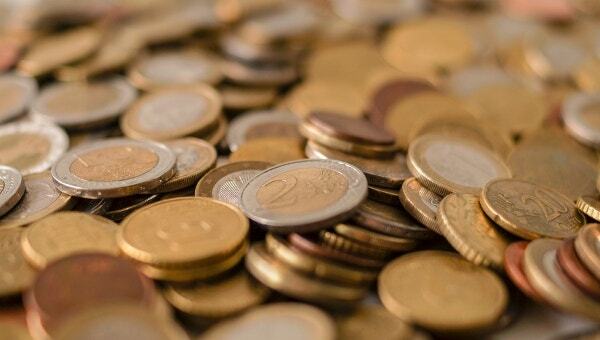 To write a bank report, you would be needing professional help. 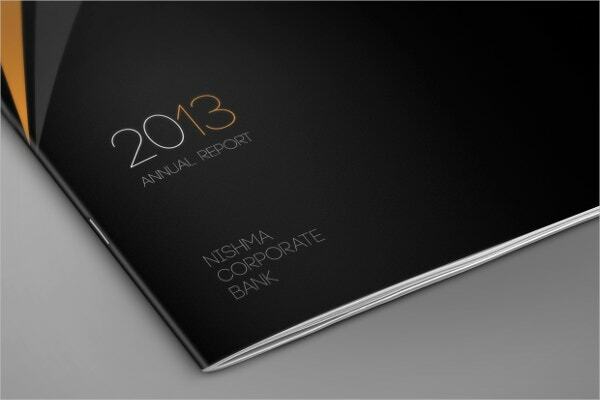 If you aren’t particularly sure of the format of the annual report, then you could take the help of this template. 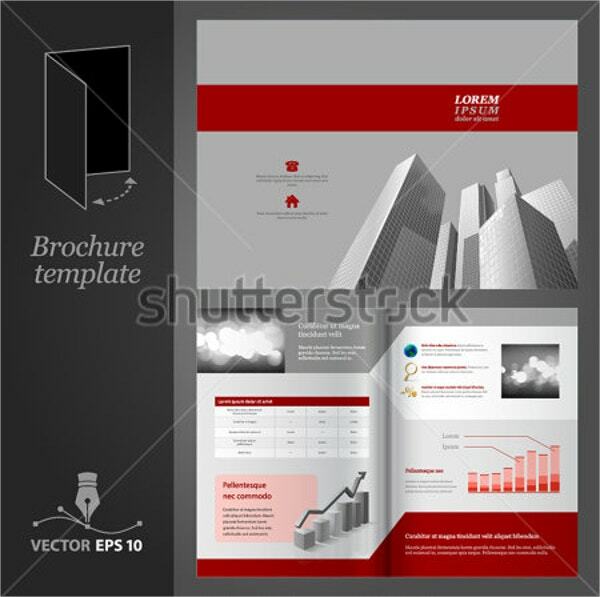 A mockup would be great if you are planning to design a brochure. Here, you can state all your information and details about all the financial services you provide and do so in an organised manner. 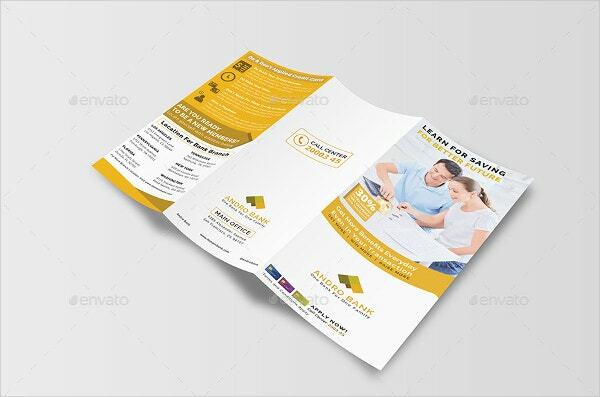 This brochure template comes in an organised and neat layout. 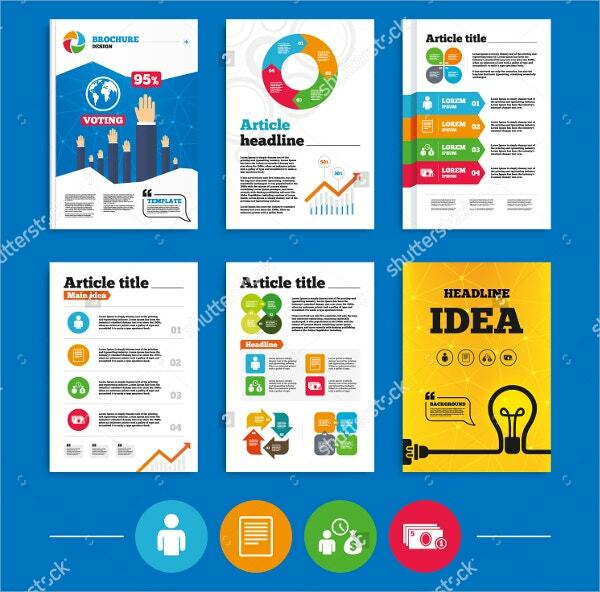 All the information on the template has been organised in a proper manner which makes it easier for the reader to follow. 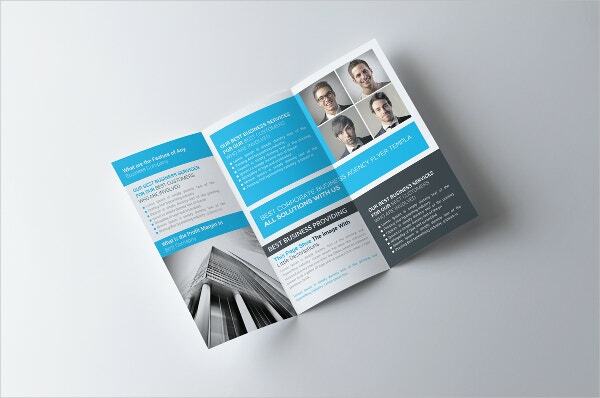 This bifold brochure template is clean, neat, tidy, compact, precise, organised, impressive and attractive. One look at it is sure to leave a lasting impression. This template has been kept fully editable and customizable. Plus, it comes in neat and organised layered psd files. 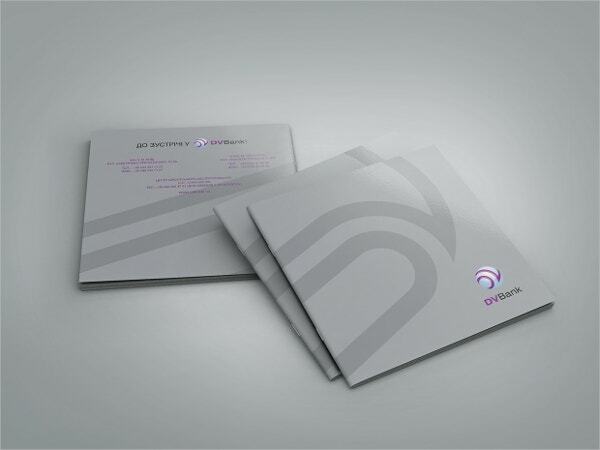 The template uses images in high resolution and CMYK colour mode as well. You can also see Health Care Brochures. 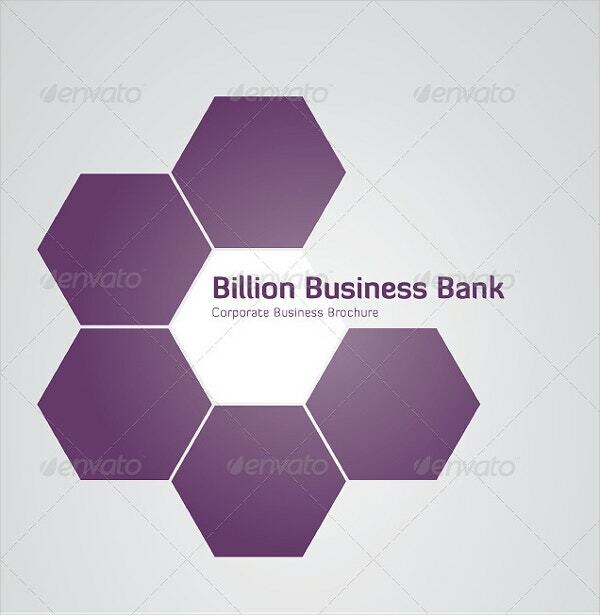 All of the templates that you see here have been dedicated to banking and financial services. They are 100 % editable and customisable. 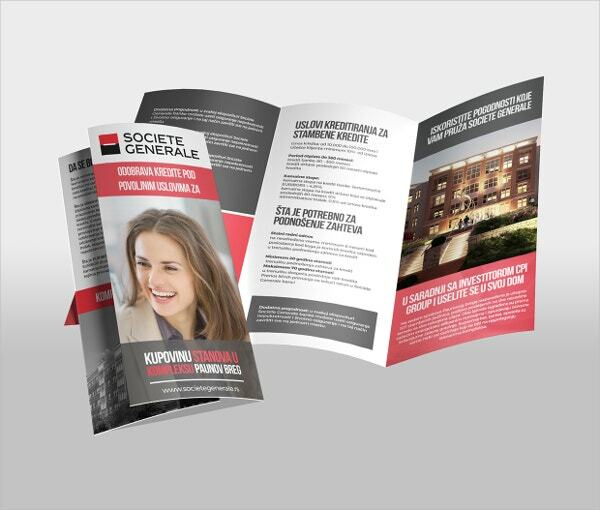 You can download the service brochure template, go through the contents, make changes wherever necessary and then save / print it. It really is as simple as that!